The Adélie Linux Release Engineering team is proud to announce that 1.0-ALPHA1 has been released for the x86_32 (Pentium III / Pentium-M) and x86_64 (Generic) architectures. Adélie Linux is a binary Linux distribution that focuses on unique goals: Full POSIX® compliance, multi-architecture compatibility, and flexibility over politics. Learn more about our goals and focuses on our Web site. Please note: This is an early alpha of Adélie Linux. Features and packages may be missing, or not work correctly. 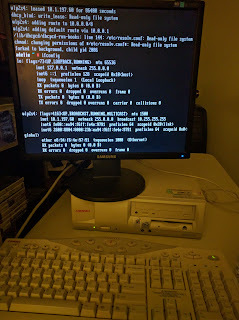 You should always back up your computer's data before you install a new Linux distribution. XFCE 4 and KDE Plasma 5 are being actively tested on the Adélie Linux platform and may not function correctly right now. It is highly recommended to use a virtual machine until you are comfortable with using the Adélie Linux system and its package manager, apk. Details on the installation process are available on our Community Wiki. Issues and comments may be directed to our issue tracker or IRC on interlinked.me or Freenode: #Adelie. Adélie Linux 1.0-ALPHA1: We still exist! Over the past few months, some inquiries have been made as to whether Adélie is still being actively developed. A quick perusal will show Git being very active, but Git isn't a release. The short answer is that yes, Adélie is still extant and we are very excited for the progress that has been made. Most of our blockers for the 1.0-ALPHA1 release have been solved. What remains is the last bit of on-hardware and virtualisation testing. A few version bumps have also occurred, including KDE Plasma 5.8. We have already changed our upstream to the more fast-moving Galapagos Linux, which is a fork of Gentoo Linux. We have also successfully tested wireless networking as working fully on supported chipsets on the Linux 4.4 kernel. 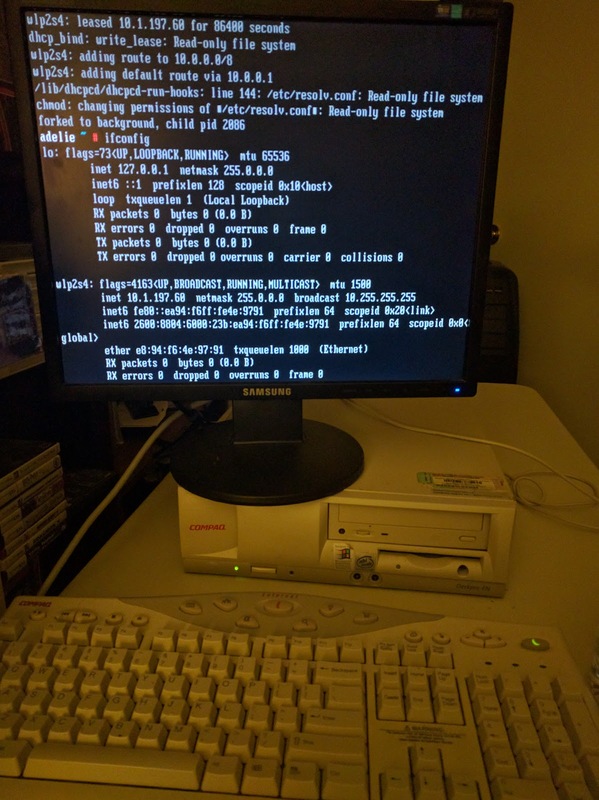 I have personally done testing on some more "extravagant" setups, including a Pentium III with an ath9k-based 802.11n card (pictured), and all have been quite performant and worked without any issues. Keep an eye on this space. ISOs for i686-class machines and x86_64 should be released this weekend, and with any luck, PowerPC builds may also be available in the very near future.